When Frances Severin’s new-born grandson fell ill with a bad chesty cold and her daughter looked so worried, Frances sprang into action, blending natural traditional healing ingredients into a chest rub to relieve him. 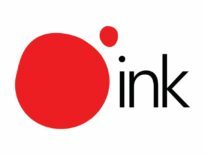 Little did the doting grandmother think this would kickoff of a journey that launched a successful business. Seeing how well her version of the traditional “Fixion” as we call it in Patios/Kwéyol, worked, Frances’ daughter recommended it to a friend whose child had also fallen ill with the cold. The friend tried the ointment and it worked like a charm. 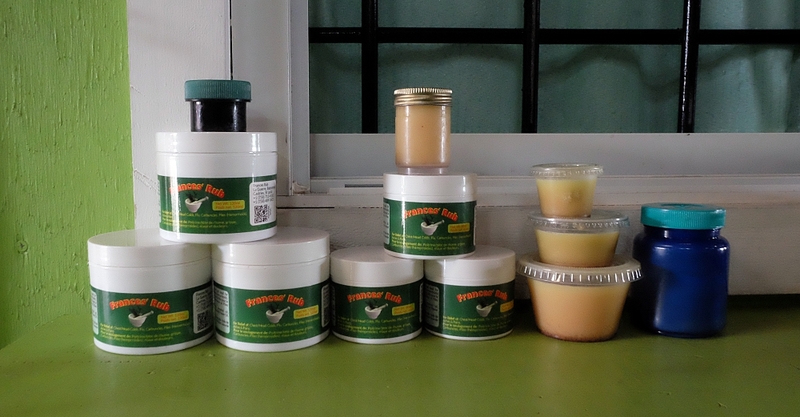 Encouraged by these successes, Frances packaged the remaining ointment, put the small tubs in a shoe box and headed out to sell them around Castries. They sold out in record time! Word of Frances’ ointment spread like fire and soon, Frances received an order for the Morne Bakery mini-mart. Frances did not hesitate to step up and supply. She continued to sell what patrons now called ‘Miracle Rub’, door to door and walking the streets and two years later, M&C Drugstore, on the recommendation from an employee, ordered the rub on condition it was commercially packaged. 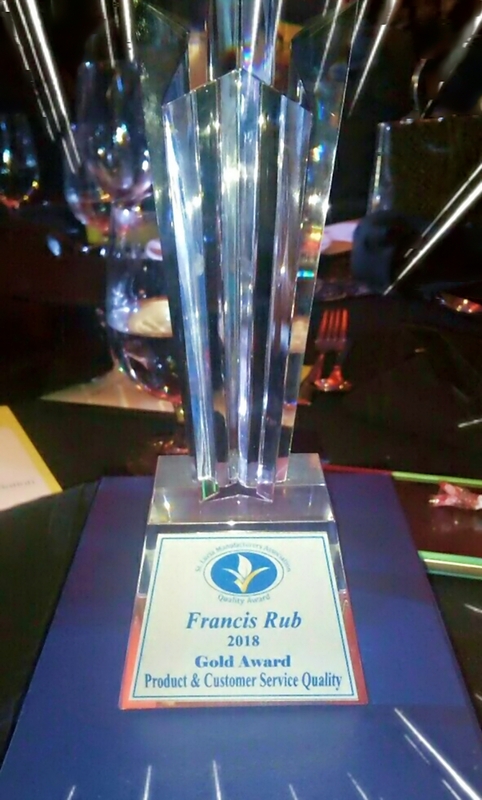 “Frances Rub” was born and now is sold across the island. Not one to settle on her laurels, Frances set out to learn massage so she could also offer her clients a massage with ‘Frances Rub’. Not only did she get certified, she won a Gold Award for Product and Customer Service Quality from the St. Lucia Manufacturers Association. Frances Rub contains 59 different ingredients, including soft candle, red lavender, coconut, castor and eucalyptus oil. The ointment is used to treat chest pain, body aches, headaches, period pain, piles, carbuncles, rheumatism and head and chest colds to name a few. Frances credits her talent and success to her strong spiritual belief as inspiration for some ingredients came to her through prayer. She’s now working toward international success. About eight years ago, Frances came to the first media-house I worked at hoping to get a TV interview which, seeing I have a passion for all things human interest, I was happy to give. Frances insisted on rewarding me with a tub of as yet unnamed ointment, but I misplaced it the same day as I wasn’t a natural medicine convert despite my family elder’s attempts to persuade me. Two years later, I met her again when she was officially launching Frances Rub. Again, she gifted me with a freshly packaged tub of ointment which I placed in my medicine drawer for safekeeping. But for at least a year, it languished out of sight, out of mind. Then Influenza struck me with out of this world all over pain against which regular painkillers were simply ineffective. I gave Frances Rub a try because I had nothing to lose. The results, I can’t describe to this day! Just unreal. That night, I sweated my fever away, and slept like a coma patient. I was even more amazed next morning when from headache to body aches, the pain was gone! The following year, I did the10-mile Pinehill Fun Walk for the second time. Seems I’m a glutton for torture because after first walk, my body felt trampled on by a herd of wild elephants! So why I did it a second year I don’t know! But this time I rubbed myself with Frances Rub, and next day I felt ZERO pain. Today, anyone who asks about natural pain relief, Frances Rub is the first thing out of my mouth. I have 100% confidence in this product. It is an absolute must-have in my household. 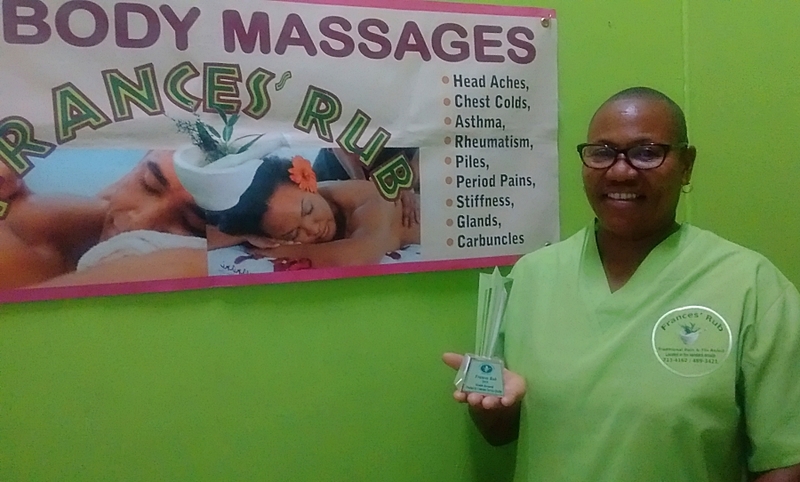 Frances Rub available islandwide; massages, including full body, back, limb and neck from Frances’ healing hands performed in her parlour, from 7:00 a.m. – 2:30 p.m. Mondays – Fridays in the Castries Vendors Arcade. Frances Rub ointment prices EC$7 to $300 (mega size!). Thank you for your miracle rub! I have been using it every day for a few years. I suffer from arthritis and it is my salvation. I love it and recommend it to everyone. Thank you for sharing your experience Jacqueline – confirmation from users is the best promotion! !